In The Great Gatsby, the American Dream is exposed as a form of reification, where people invariably become objects for each other. Do you agree? The American Dream is an ever-permeating force, to the extent that few works of American art or literature can escape its influence. Clearly, such 20th Century works as F. Scott Fitzgerald’s The Great Gatsby engage visibly with exploring this ambiguous social construct. The 1920s were part of an era in which the American Dream had a particularly corporeal form, in that the rise of such modern ideas as the stock market allowed easier access to gaining wealth. The 1920s have since become symbolised as a time of excess – with the American Dream’s promises of a “better, richer and happier life” existing as virtual possibilities for Americans. This is an important aspect of The Great Gatsby’s historical and literary background in that it allows one to observe more keenly how F. Scott Fitzgerald breaks open the façade of the American Dream, revealing how a process of reification surrounds such a fabulist concept. Where previous authors, through choosing to hold onto a sense of the romantic, further the idealistic portrayal of the American Dream as some fountain of providence, The Great Gatsby aims to reveal the American Dream as a darker, abstract notion. Fitzgerald’s aim is to break down, rather than further, the propaganda of the Dream as an all-encompassing American religion – its priests: commerce and consumerism. It is of further importance for the reader to note, that the first character introduced in The Great Gatsby is the narrator himself: Nick Carraway. It is through Nick’s particular perspective that the reader first encounters the subtle manipulation of the American Dream as seen by Fitzgerald. Nick’s particular prejudices and views colour the text and yet, Nick for all his flaws, perceptively is a reliable narrator. His narrative is internally consistent in its particular attitude towards the novel’s plot and characters. That is not to say that there is no sense to Nick being unreliable on occasion. During the course of Fitzgerald’s novel, Nick records separately two apparent contradictions. The first is: “Everyone suspects himself of at least one of the cardinal virtues, and this is mine: I am one of the few honest people that I have ever known,” (F. Scott Fitzgerald, 1926, p. 59); the second, “’I’m thirty,’ I said, ‘I’m five years too old to lie to myself and call it honour.’” (p. 168) It is because of these apparent contradictions that Nick can be categorised as ‘reliable.’ The reliable narrator is not one who never lies, but is one whose narrative holds a general consistency and fluency. Nick, despite being incapable of recognising his own flaws does provide a constant narrative thread, in which he provides the audience with all details he is aware of. Nick’s one true unreliability is in that he does not recognise that he has set himself up as a presiding judge who can distantly peruse facts and blame Tom and Daisy Buchanan for selfishly pursuing their worship of the American Dream. Yet he himself bows at the foot of that particular altar. If one looks at the opening sentences to Nick’s narration, his father’s words appear: “Whenever you feel like criticizing any one…just remember that all the people in this world haven’t had the advantages that you’ve had.” (p. 7) In his analysis of this particular section, Scott Donaldson claims that: “Nick is a snob.” (2009, p.1) Donaldson’s point being that Nick chooses to utilise his father’s saying in order to judge others around him, rather than as a particular caution for Nick himself. Instead of learning a sense of toleration for others from his father, Nick chooses to focus on “the advantages” that he has had. In a subtle way, Fitzgerald from the very opening therefore shows that the all-encompassing American Dream affects even his reliable narrator. Nick has become a snob, an individual who is proud of his heritage and the fact that he can live out his particular dreams in life. Yet he is exceptionally keen, at the same time, to pass judgement on others and it is here that any sense of unreliability in regards to Nick exists. Nick simply cannot understand that he has fallen prey to the same reification regarding the American Dream as others – because to him, and to the reader, it is simply hidden away in the background. More apparent to the reader, is the resounding cry of the eponymous Jay Gatsby: “Can’t repeat the past?… Why of course you can!” (p. 106) It is obvious, to the most casual of observers that Gatsby represents the American Dream personified. His pursuit of a ‘richer’ life is obtained well before the outset of the novel, well before the reader knows anything of the elusive Gatsby. Indeed, the reader could easily be lead to question as Daisy does: “Gatsby…What Gatsby?” (p. 16) Regardless, there is something feasibly poignant in the name ‘Gatsby’, something bombastic and larger than life that causes it to stand out to the reader. The reader is inspired to believe that this Gatsby is a man of old money, a figure of lavish tastes – a creature of comfort created by a culture of splendiferousness. It becomes clear however that, ‘“The truth [is] that Jay Gatsby of West Egg, Long Island, sprang from his Platonic conception of himself. He was a son of God… and he must be about His Father’s business, the service of a vast, vulgar, and meretricious beauty.” (p.95) Gatsby is a constructed identity, one forged by the growth of, and which supports, the mythology of the American Dream. It is important to note that the main means referenced as to how Gatsby comes into his wealth is through both success in the Great War and through black-market gambling with America’s national game: baseball. Historically it has been noted that, “Baseball tells the story of both economic and social success through aspirations of heading to America.” (Jarom Lyle McDonald, 2007, p.33) America becomes an ideal destination because of the inherent American and global belief in the power of the American Dream to create a successful individual. Gatsby is one such successful individual as one of the nouveau-riche, a man not born into money but into relative poverty. The ideal of the American Dream, that one can reach a richer life, is met in Gatsby. Yet, through the eyes of Fitzgerald’s narrator, the reader is led to note that Gatsby has not quite fulfilled all the American Dream. As for what he has fulfilled, there is little purpose to it. He possesses a library of unopened books, a closet of unworn shirts and a pool that the reader is led to believe he only uses at the end of the narrative, just prior to his death. This is the nature of dreams, even semi-fulfilled dreams: that when one completes them, one finds a vacuous sense of lack. It is for this reason that Gatsby’s haunting statement that you can repeat the past proves so poignant. It highlights to the reader that for Gatsby, no sense of fulfilment exists unless he can return to the world in which he and Daisy were together. Gatsby is naturally the key indicator of how the American Dream is integrally flawed and superficial. When the concept of the American Dream is examined closely, one can observe that it appears to become a form of reification in which people lose their sense of agency and identity, becoming objects to be bartered or sold. Yet, though Gatsby is the key indicator of this belief, he is not the only indicator. Nearly all of Fitzgerald’s characters perceive Daisy– and women in general – as an object with commercial value. 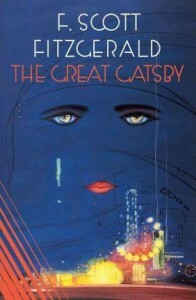 Gatsby creates an image of her as the perfect woman to complete his version of the American Dream, while Tom clearly reveals that he relies upon Daisy as an American Dream status symbol. Yet for Tom, this American Dream is one he was born into, supported by a life of luxuries and opportunities – much as Nick himself reveals his own “opportunities” in life. Tom, earlier in the novel clearly shows that he has compartmentalised his world into internal and external sectors, much as The Great Gatsby has internal and external narrative threads. He wishes to possess both a mistress (Myrtle Wilson) and a wife, to show off his own sexual prowess and indicate his desirable masculinity. When Gatsby arrives, threatening to steal Daisy from Tom, there is a genuine sense that Tom’s American Dream is encroached. Tom’s true objection to Gatsby lies not in Gatsby’s pursuit of Daisy, but in Gatsby’s pursuit of Tom’s possession – his symbol of living the American Dream life. It is one of the vast ironies of The Great Gatsby that Tom and Daisy both live according to the standards of the American Dream, and yet are enslaved, rather than freed, by the sense that everything around them is an object of particular usefulness. It is in the key closing lines of The Great Gatsby, “So we beat on, boats against the current, borne back ceaselessly into the past,” (p. 172) that the novel’s core idea is best summarised. Though the American Dream is intended to provide the freedom, the opportunity for anyone to attain a richer and fuller life, tragically it is revealed in The Great Gatsby as instead a vehicle for justification of existing wealth. Gatsby himself is a man who aims to cheat the system, to beat against the current, and yet finds himself ineffably borne back into the past. A past he believes he can repeat. To this end, Gatsby pursues the image of a previous love in Daisy, raising a vast wealth through illegal betting. These are morally and culturally illegitimate means, but in the context of The Great Gatsby, Fitzgerald shows the reader that these are, from the perspective of the American Dream valid methods of pursuing one’s dreams. ⟵Spiderman Homecoming – Spectacular Or Gathering Cobwebs?